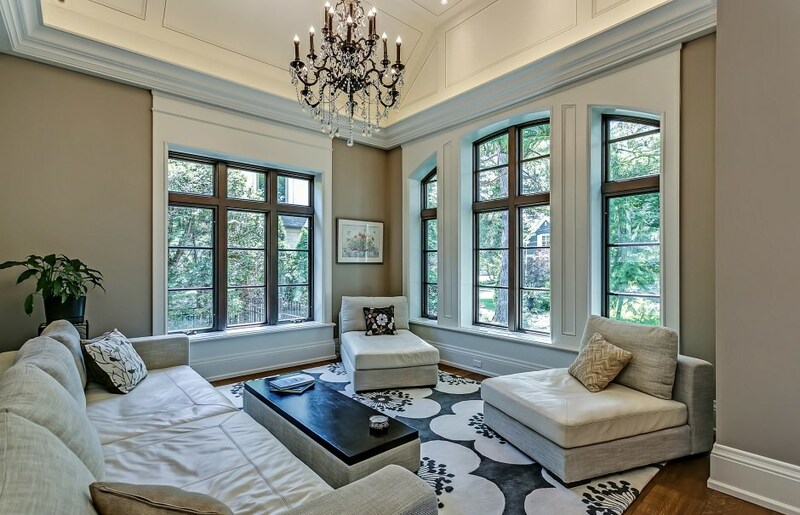 Throughout the interior of the home the quality continues as Kolbe triple pane windows and solid walnut interior doors with Rocky Mountain mortise hardware, just to name a few. The home is fully automated through a Crestron Automated Smart House system controlling all lights and security aspects of the home by either a built-in touch screen or on your tablet while you are out of town. Over 14ft ceilings throughout the main floor emit a grand feel, while the stone walls and Douglas Fir beams keep the rooms feeling cozy. The separate dining and living room are an entertainer’s delight with a centralized den making the perfect spot for an after dinner drink. The kitchen is a chef’s dream including a Leibherr bio-fresh fridge, steam oven and 48” Capital Professional Series range, just to name a few of the top of the line appliances. 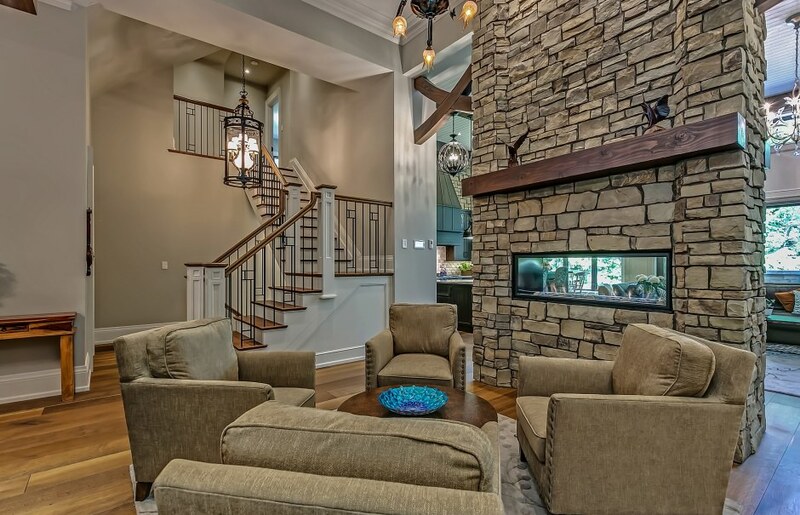 The kitchen overlooks the oversized family room with a mounted 90” Sharp television. This room being at the center of the home opens up to the covered porch with a cedar roof alongside built-in speakers, wood burning fireplace and natural gas BBQ. 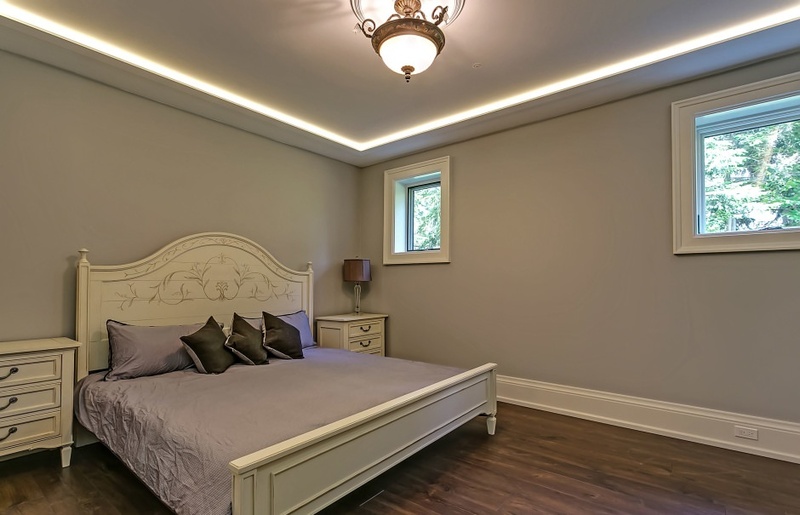 The spacious master bedroom is found in its own separate wing with double door entrance, separate foyer, beautiful tray ceiling and access out to the backyard. 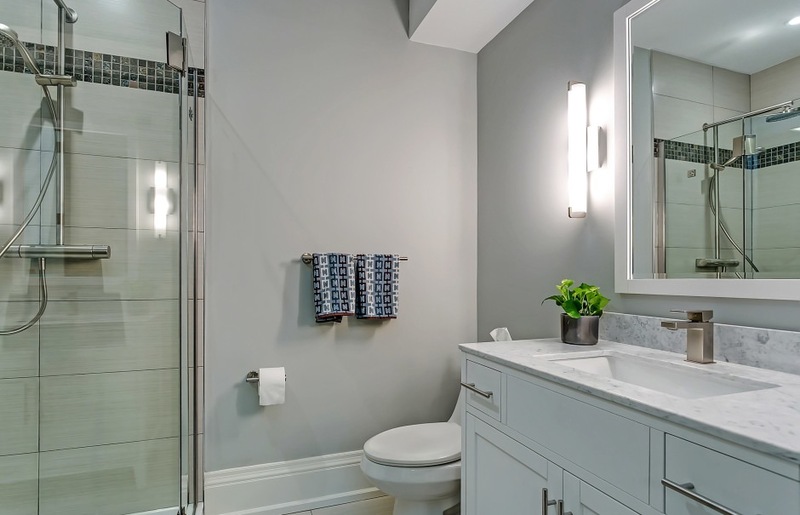 The ensuite is a relaxation paradise with solid walnut floating vanity, BainUltra Tekura bathtub with light therapy and air jets and finished with honed marble countertops, floors and shower walls. An additional bedroom with ensuite is found on the main floor, with the third bedroom and ensuite found in the loft. 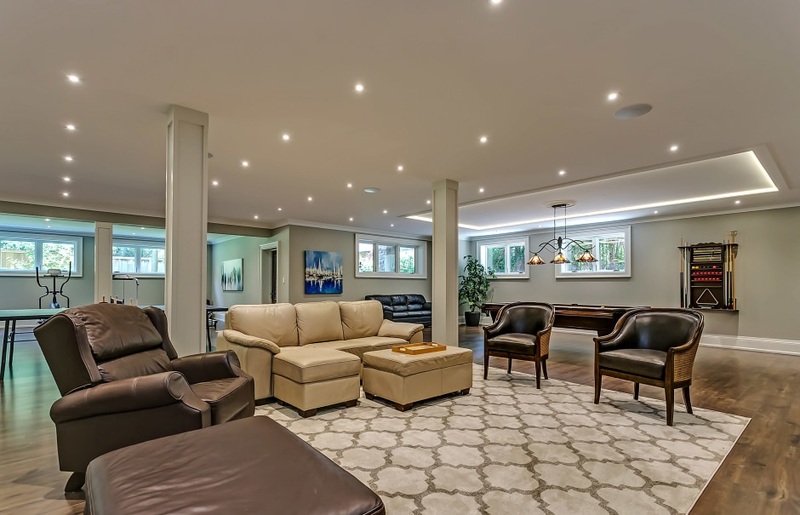 The oversized lower level with walk-out to the backyard is the perfect game room and gym, while also offering a fourth bedroom with ensuite. Come experience true luxury with one of the most desirable and quality built homes in southeast Oakville.